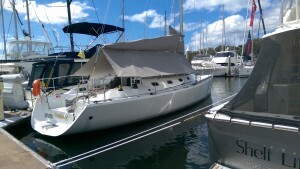 This is a web page for Passion X a DiDi 40 owned by David and Elaine Edmiston. Here you can see the race program and results as well as happenings for the boat and crew. Passion X was built by David in the yard of his home in West Pennant Hills. You can see the building recorded on this site. Passion X replaces David and Elaine’s Jeanneau SO 37 named Passion. 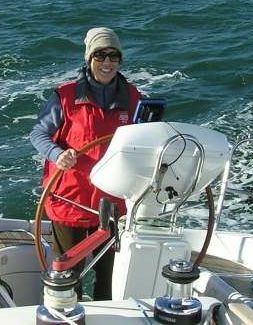 You will see photos of Jeanneau Passion in action on this site. Passion X is moored on a swing mooring between at Greenwich near to the Greenwich Flying Squadron Bay Street. David, Elaine and the family had lots of use from Passion around Sydney Harbour and jaunts to Broken Bay. The photo right is of Elaine at the helm of Passion offshore. Passion and now Passion X reace with the Greenwich Flying Squadron GFS and Royal Naval Sailing Association RANSA andare also registered with Gosford Sailing Club. They race in the Wednesday summer twilight and West Harbour Winter Series races at Greenwich and the Winter Wednesday series with RANSA. 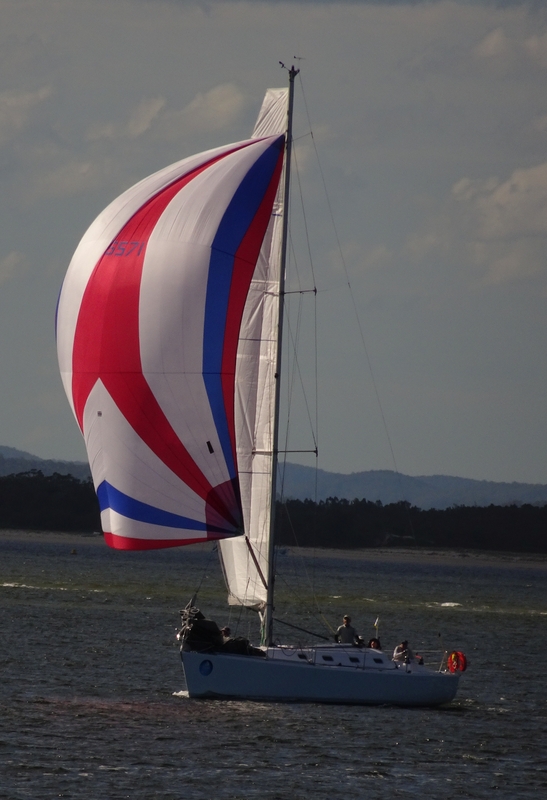 Right is a photo of Passion under asymmetric spinnaker at Port Stephens. 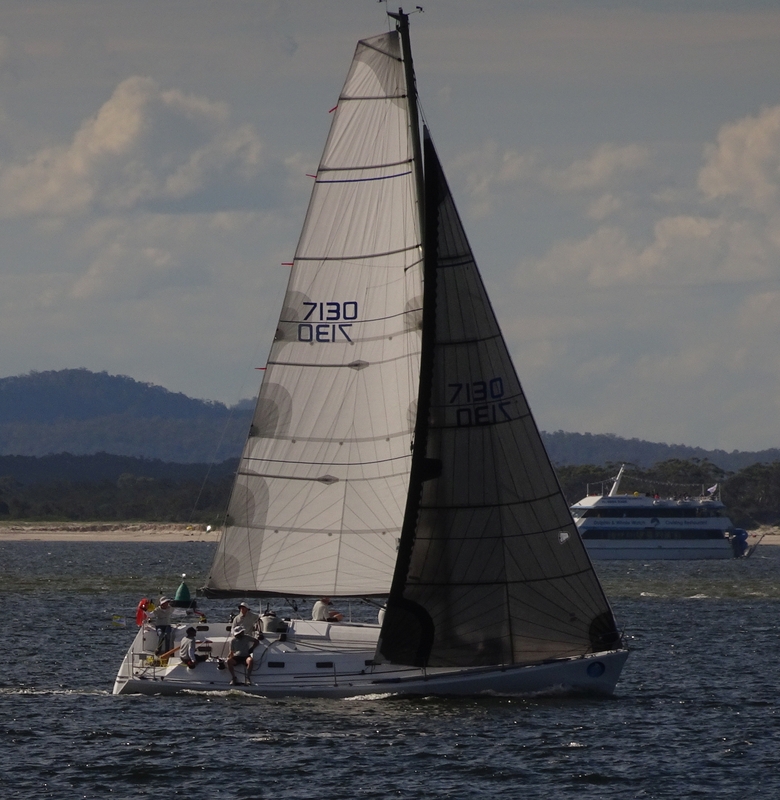 Both Passions mostly race with mainsail and genoa but in the Sail Port Stephens Regatta and the Winter West Harbour Series they set asymmetric and masthead symmetrical spinnakers as well. Below is Passion at full tilt at Sail Port Stephens in 2013. Pictures below are of Passion X sailing in the Sail Port Stephens Regatta 2017.